New York City went an entire weekend with no reported shootings for the first time in 25 years, city officials said Monday. The city of nearly 9 million people went Friday, Saturday and Sunday without any reported gunfire. The last time that happened was in 1993. "I really don't remember a weekend that no one was shot in the entire city," NYPD Chief of Department Terence Monahan told the New York Post. "It's a different city." New York City Mayor Bill de Blasio credited the NYD for its efforts to decrease violence in the city, which has been on a continual downturn. In December, the city marked its lowest homicide rate since the 1950s. "You know, when you think about the history we came from and the challenges that had to be overcome by this NYPD, it's absolutely extraordinary," de Blasio said at an NYPD graduation ceremony on Monday, according to WPIX-TV. "But I want to emphasize, a city of 8.6 million people -- not a single shooting for three days." 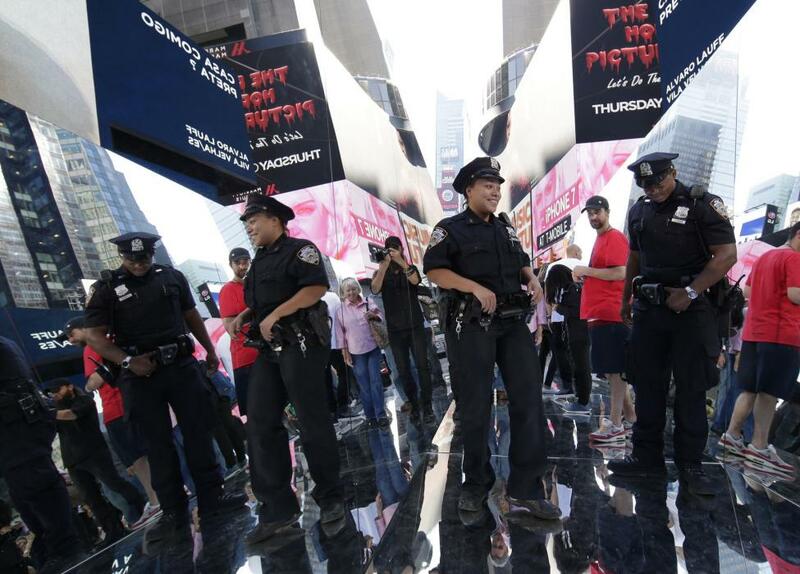 New York City's decreasing violence rate could potentially be even lower this year. Through Oct. 7, the homicide rate was 2 percent less than in 2017.